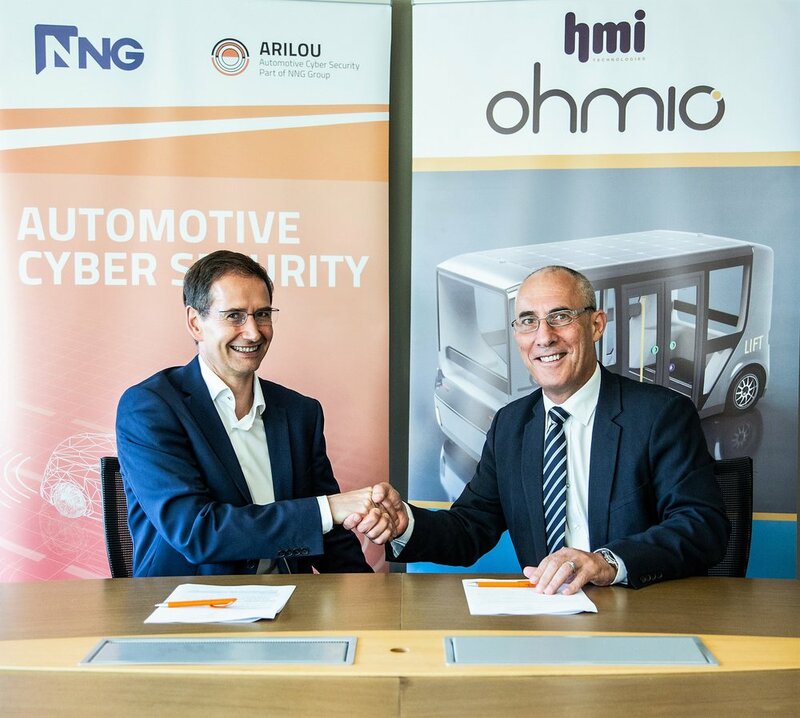 Budapest, Hungary - Ohmio Automotion Ltd (a subsidiary of the HMI Group) and Arilou Information Security Technologies Ltd., (part of NNG Group) concluded an agreement about deployment of cyber security solutions in a new generation of autonomous buses. As part of the agreement, Arilou will protect the in-vehicle network with the incorporation of their PIPS (Parallel Intrusion Prevention System) solution. Further on, NNG will also supply navigation solutions to the Ohmio autonomous buses. NNG is primarily known for its iGO Navigation software, with the majority of its work used in white-label products for major car companies. NNG’s navigation is currently installed on more than 70 million devices worldwide, with 44 car brands. NNG has local presence on all continents, including offices in the US (3), Brazil, Switzerland, Hungary (2), Israel, China, India, South Africa, and Japan, ensuring highly localized solutions and aggregation of the best content available on each market. Australasian based Intelligent Transportation Systems (ITS) innovator HMI has been at the forefront of the ITS industry for over 15 years. HMI has established a reputation for expertise in ITS and traffic management systems and equipment including variable message signs, speed activated signs, motorway signaling, modem/network based systems, sensors and integrated location services solutions. It was based on HMI’s experience working with governments, communities and transport agencies, that the potential of autonomous vehicles and the supporting layers of infrastructure and systems became apparent. Following the release of the first fleet of proof of concept vehicles in Christchurch in 2017 and trials across NZ and Australia with other partners and technologies, HMI subsequently developed their own self driving & self-learning AV technology company - Ohmio Automotion Ltd.
Ohmio Automotion Ltd based in Auckland, New Zealand is a commercial company focused on the development and deployment of Level 4+ self drive vehicles. Ohmio has developed what they believe to be a world-leading self-driving system. Ohmio has deployed to date the largest amount of autonomous buses globally that are in regular operation in various countries..